When it comes to going out for dinner, a lot of people tend to forget that some of the best restaurants in Orlando can be found inside some of the areas great hotels and resorts. Some times these restaurants are upscale and may be out of your price range, while others are very modestly priced and offer great food with impeccable service. When you think of the Ritz Carlton name, you automatically think of ultimate luxury and glamour, with good reason. The Ritz Carlton name has been synonymous with luxury on a grande scale for over one hundred years. Aside of the beautiful architecture and an outstanding dedication to service, the company is also known for fine dining...after all Louis Diat, a French chef at the Ritz-Carlton in New York City, is most often credited with the invention of Vichyssoise there back in 1917. The Ritz Carlton here in Orlando is steadily upholding the brand name and has been one of the leading luxury resorts in the area. The Grande Lakes property is comprised of The Ritz-Carlton and JW Marriott Orlando that sits on 500 acres with a luxury 582 room Ritz-Carlton and a deluxe 1,000 room JW Marriott hotel situated at the headwaters of the Florida Everglades. In following the Ritz heritage, the Orlando hotel is also synonymous with great food and has a very nice offering of restaurants on the property, including Chef Norman Van Aken's famed establishment Norman's. What makes the all new Highball & Harvest restaurant such a unique experience is that guests can enjoy some really great farm to table food created by top chefs at a better price point. 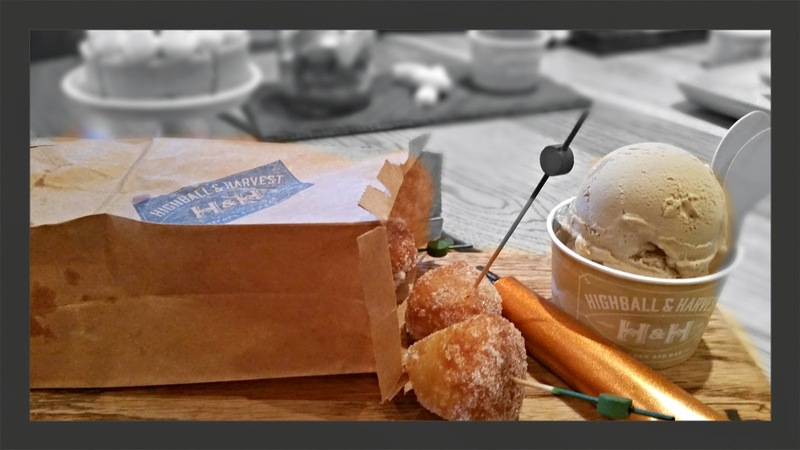 The Grande Lakes property continues its dedication to farm-to-fork dining and authentic, local experiences with the opening of its new casual dining concept, Highball & Harvest. The restaurant features innovative and interactive dining, handcrafted cocktails, and a creative, playful menu that features seasonal Low Country and Cajun-inspired cuisine from young, Southern-raised Chef de Cuisine Mark Jeffers. 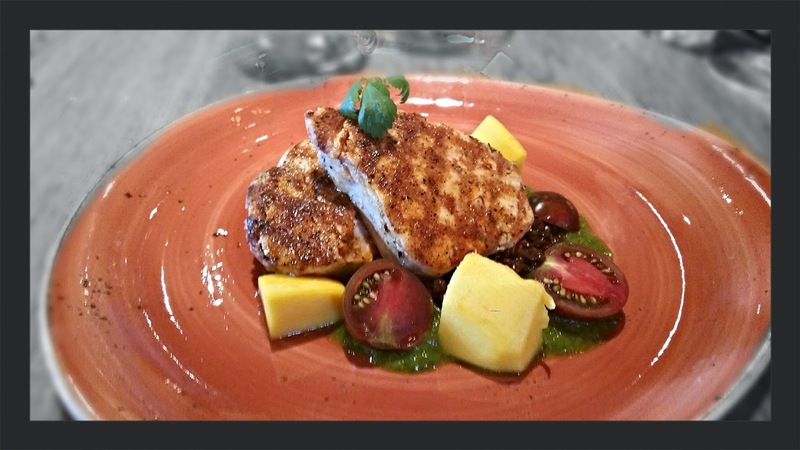 H&H offers hyper-local dishes infused with Floridian citrus and ingredients from nearby purveyors as well as the resort’s own 7,000-square-foot Whisper Creek Farm, which opened in October 2012. Ingredients from local farms and Whisper Creek Farm will be specifically noted on the restaurant’s seasonal menu. 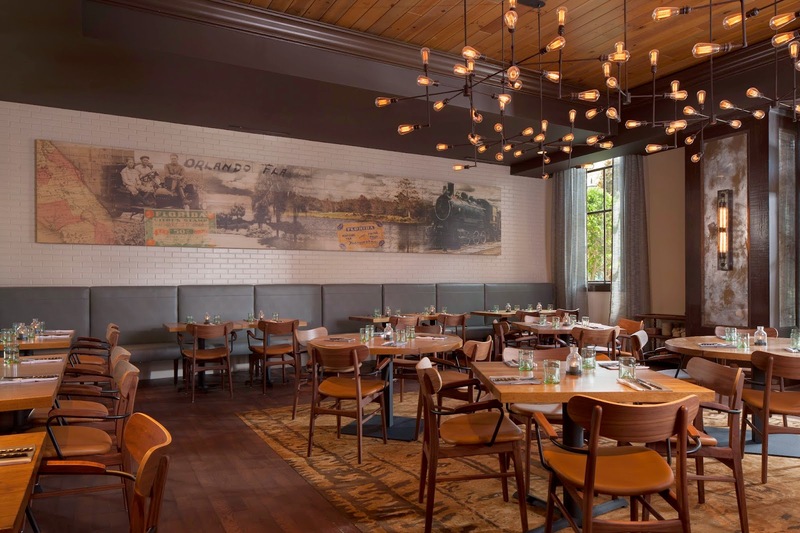 H&H’s railroad-inspired design features communal seating, a large bar/lounge area, a raw oyster bar (with chefs shucking oysters by hand), and custom hand painted dishware. Signature dishes include H&H Pig-n-Potatoes, a decadent all-day breakfast dish, house-made beef jerky, dips with pickled veggies presented in a rustic tackle box, and a signature H&H Hot Sauce made from Whisper Creek Farm peppers. The resort’s thirty-strong pastry team, that works magic baking everything from scratch, has created one of the restaurant’s most exceptional offerings: Parker House Rolls made from old-world Khorasan wheat, served up warm and moist with significantly less gluten than typical bread. The thirst-quenching heart of the restaurant is an interactive cocktail table, where knowledgeable bar chefs muddle ingredients while instructing over carefully curated and personalized cocktail classes. H&H will offer a hand-crafted, seasonal cocktail menu. Signature cocktails include: the Moonshine “Whistle-Stop,” the refreshing “Green Acres” with house ginger beer and jasmine tea, and a “Cranberry Cobbler” mixed with honey from the resort’s on-site apiaries. Most cocktails will be served on the rocks with hand-carved ice, sculpted bar side with a Japanese ice saw and often infused with herbs and citrus from Whisper Creek Farm. H&H will also feature Central Florida’s largest selection of wines from the cask, carefully selected by Advanced Sommelier Kris Soto, to ensure perfect temperature control and freshness. I had the privilege to attend a grand opening event and of course got to sample quite a bit of the menu. I can truthfully say, I was really impressed with just about everything I was able to try. The flavors, seasoning, presentation and overall enjoyment of each dish I sampled was mouthwatering and delicious. We began with the Parker House Rolls made from old-world Khorasan wheat, served up with an apple butter and an herb butter. 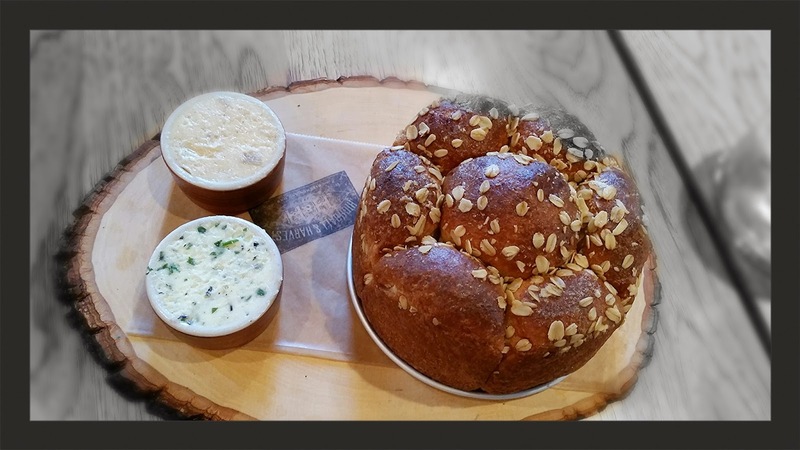 This bread was amazing and just melted in your mouth. Our first starter was the Crab Cake and Fried Green Tomato with a Cajun remoulade and corn chow-chow. Generous amounts of crab meat and zesty fried green tomatoes made this enjoyable. 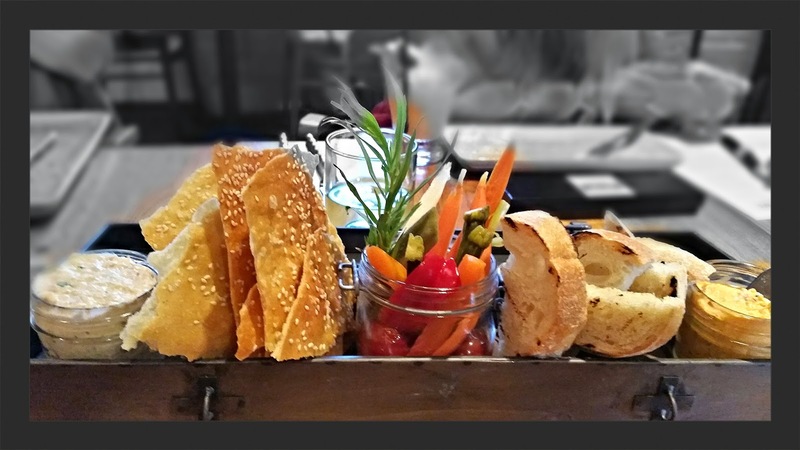 Our next starter was The Southern Spread with pimento cheese dip, smoked fish dip, pickled veggies, lavash, and sourdough bread. The pimento was spicy and delicious, and the fish dip had a very good smokiness and flavor. 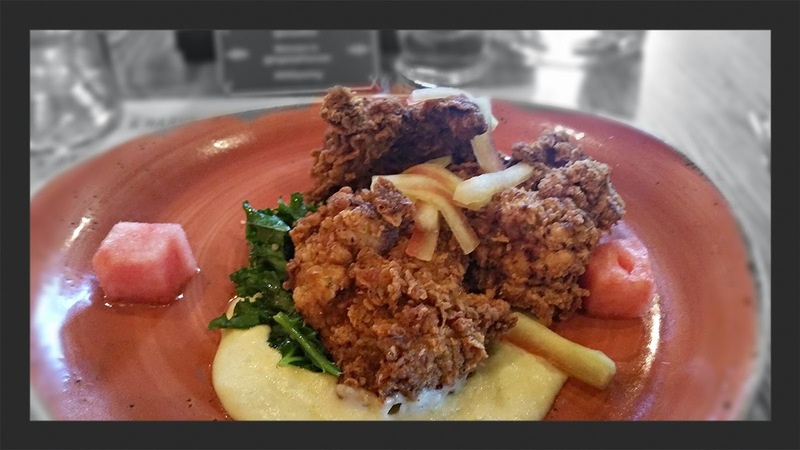 For my entree I chose Chicken Fried Chicken with potato puree, garlic kale and watermelon. This is hands down some of the best fried chicken I have had in quite some time. Seasoned right and fried perfectly. 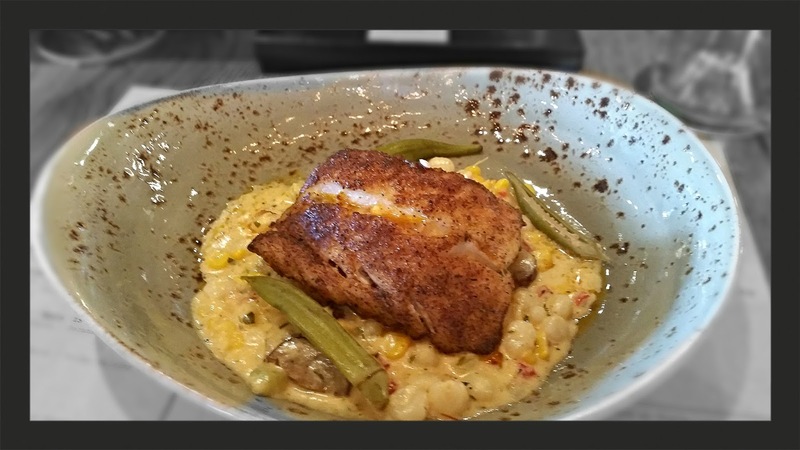 The Blackened Grouper with a hominy ragout, andouille, and pickled okra was very flaky and tender. The hominy was a nice accompaniment with a rich and wonderful flavor. 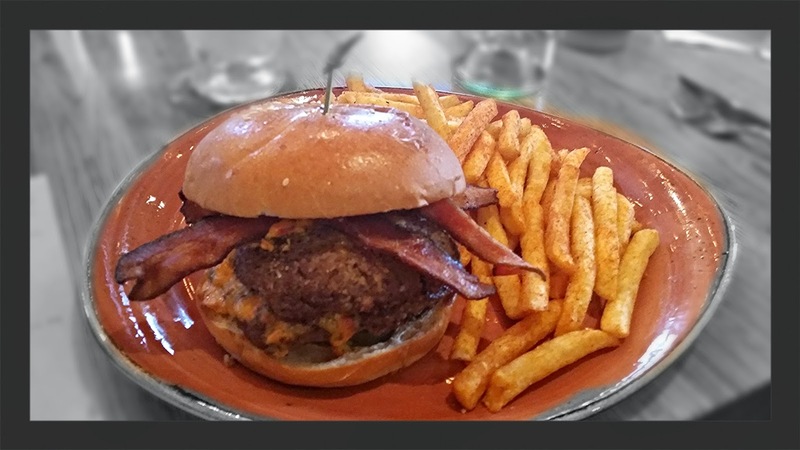 Another favorite was the H&H Pimento Cheese Burger, made with double short rib patties, bacon, pimento cheese and spicy pickles. This was a burger of epic proportions and pretty darn good. The Grilled Line Caught Swordfish was also a very nice treat. The dish comes with beluga lentils, cilantro coulis, and mango. 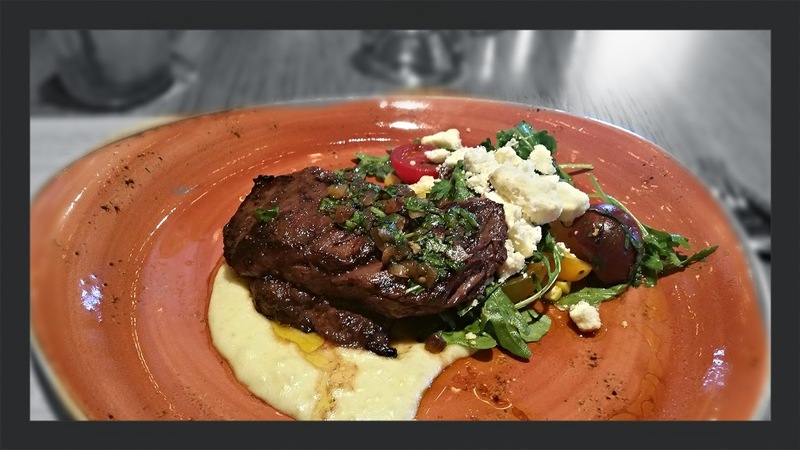 Although I did not personally taste the Booker's Skirt, I was told that is was a superb steak offering with grilled corn & tomato salad and a potato puree. The desert selections were impressive as well. 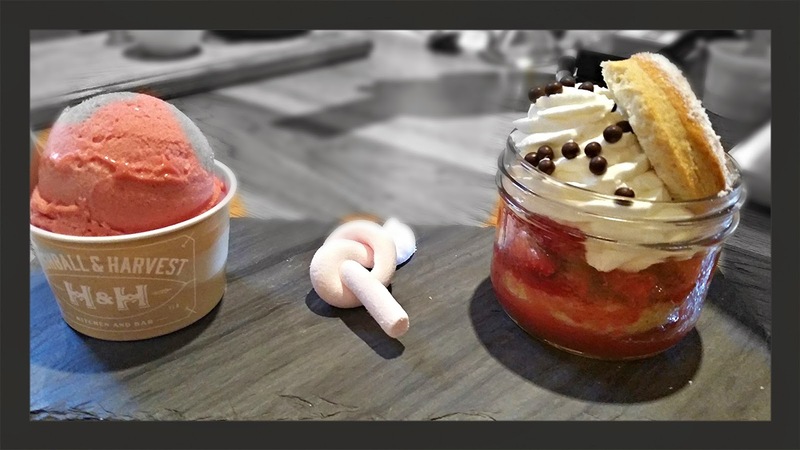 The Strawberry Shortcake with poached rhubarb and bubble gum ice cream was a tasty treat. Baby Donuts were a crowd favorite with cappuccino ice cream and a tube of Nutella. The Warm Chocolate Cake was very rich and decadent, but oh so delicious. 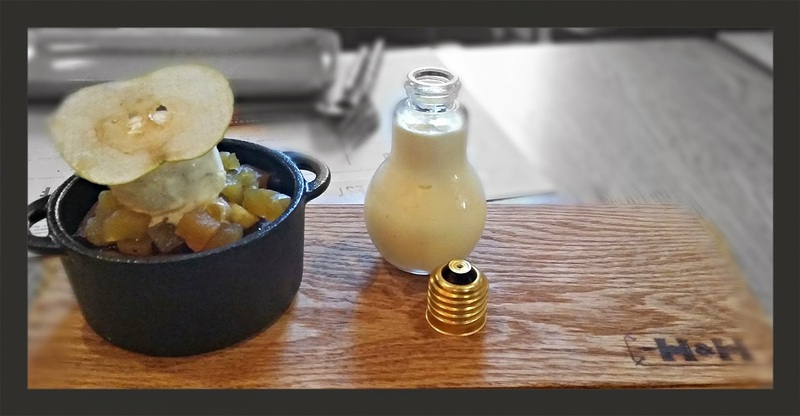 It is served with a bourbon pickled apple chutney and a vanilla sauce inside of a light bulb. A great idea for desert. 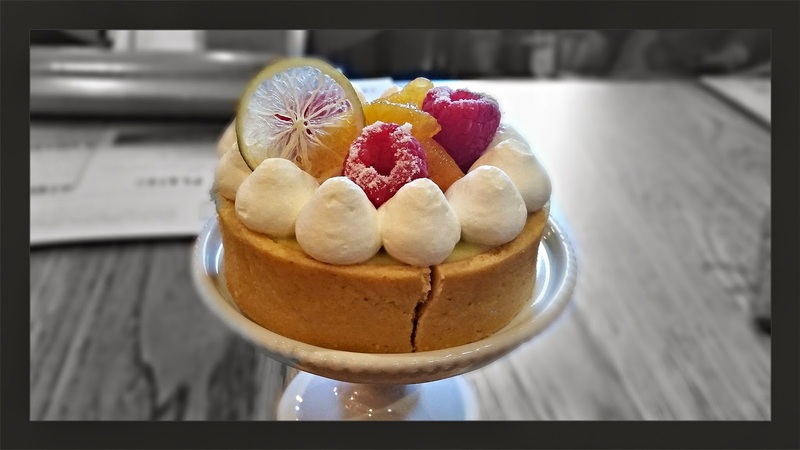 We really enjoyed the H&H Key Lime Tart with Winter Park honey infused oranges. As I said earlier, I really enjoyed Highball & Harvest and look forward to a return visit there. All of the food was impeccable, and the service was top notch. Most of the menu offerings are modestly priced with starters ranging from $4.00 to $16.00 and entrees ranging from $16.00 to $32.00. 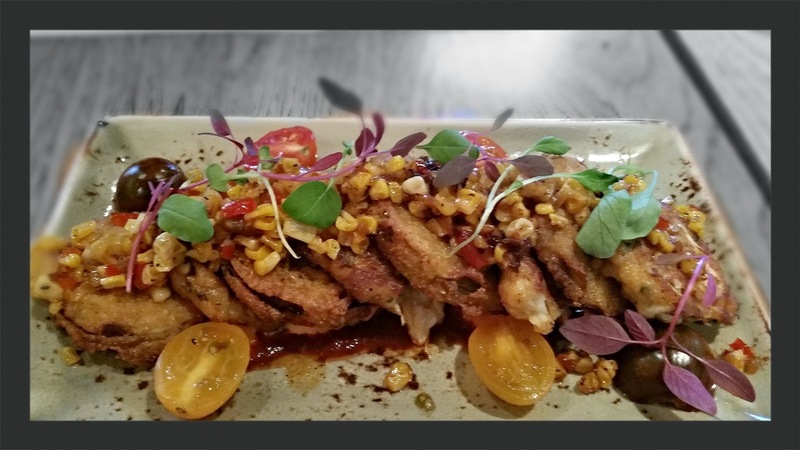 Highball & Harvest is a great way to experience gourmet quality fine dining with fresh ingredients that will not break the bank, or your budget. Whats even better is that all guests of H&H receive complimentary valet parking. I can not wait to return there and try out some of the other selections...especially the fresh shucked oysters with the H&H house made hot sauce. This has potential to be my new favorite restaurant. In 2015 the resort will open a new casual dining restaurant at the JW Marriot property called The Kitchen. The new restaurant will be spotlighting charcuterie, Whisper Creek Farm ingredients, and beer from the JW Marriott Orlando Nano Brewery.